GLENVIEW, IL – Kohl Children’s Museum today announced that the traveling exhibit “Storyland: A Trip Through Childhood Favorites,” will be on display at the Museum from Tuesday, September 25, 2018 through Sunday, January 13, 2019. 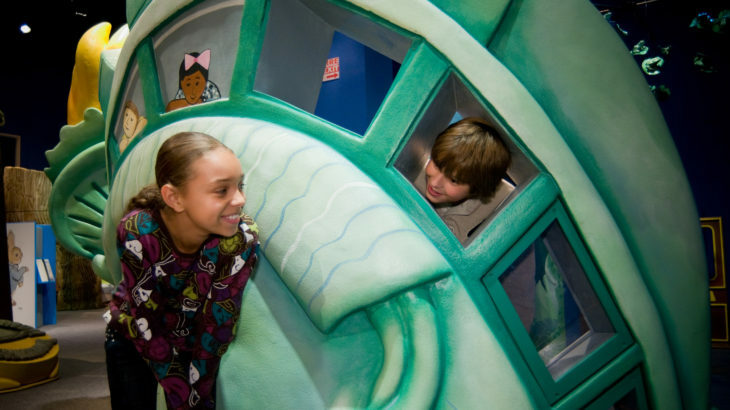 The exhibit allows kids to immerse themselves in the life-sized worlds of award-winning children’s books. Children can build literacy skills through imaginative, interactive experiences and dramatic play with a focus on vocabulary, print motivation and awareness, narrative skills, letter knowledge and phonological awareness. Created by the Minnesota Children’s Museum, the “Storyland” exhibit transforms seven beloved, award-winning picture books into three-dimensional and bilingual (English and Spanish) play and learning environments that highlight the six pre-reading skills defined by the Public Library Association and Association for Library Service to Children: disposition to read, print awareness, letter knowledge, sound awareness, vocabulary and narrative skills and comprehension. 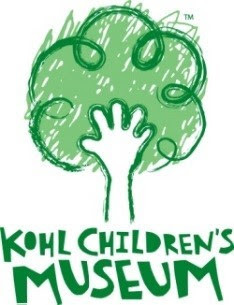 Kohl Children’s Museum also offers regular story times at the Museum, every Monday at 11am for pre-school age children and every Wednesday at 3:30pm for children pre-K through 3rd grade. Children of all ages are welcome to attend either story time. The opportunity to explore the world of Peter Rabbit and build vocabulary and narrative skills while searching for Peter’s lost belongings, harvesting vegetables and playing in Peter’s burrow in an area of the exhibit based around “The Tale of Peter Rabbit,” one of the best-selling children’s books of all time. A “mouse-eye view” of the super-sized elements in “If You Give a Mouse a Cookie,” such as a big glass of milk, and fun activities to create new and rhyming words by matching letter magnets to word trunks. Building print and sound awareness in the wintry world of “The Snowy Day,” where a young boy explores his neighborhood after a fresh snowfall, with activities such as building a snowperson and exploring wintry sounds and words. Guests can join Rosalba and her grandmother on a magical journey in “Abuela” as they fly over the streets, sights, and people of New York City which sparkles below. The story is narrated in English, and sprinkled with Spanish phrases as Abuela points out places that they explore together. Parents can get tips about cultivating pre-reading skills in very young children and babies and young toddlers can experiment with busy wall interactives based on “Where’s Spot?,” a well-known board book about the search for Spot the dog. Young children can create rhythms with steel drums, play along with the narrative of “Chicka Chicka Boom Boom” and explore the alphabet as well as letter and sound awareness while navigating the three tropical islands in this fun children’s book. Children can sharpen their narrative skills and vocabulary by delivering news from inside of a television and searching for hidden frogs in “Tuesday,” a story about a town mysteriously visited by flying frogs. In recognition for its outstanding exhibits and impact on Chicagoland families, Kohl Children’s Museum was recently named one of the country’s Ten Best Children’s Museums by Parents Magazine. Offering 17 interactive, hands-on exhibits for children age’s birth to 8, the Museum’s mission is to encourage young children to become effective learners through self-directed complex play. Kohl Children’s Museum is located at 2100 Patriot Blvd. in Glenview, IL, at the corner of Patriot Blvd. and W. Lake Ave. in The Glen. The Museum can be easily reached by public transportation, including Pace bus and Metra trains. For more information, visit the Museum’s website at www.kcmgc.org or call (847) 832-6600. The Museum is open on Monday from 9:30 a.m. to 12 p.m., Tuesday through Saturday from 9:30 a.m. to 5 p.m., and Sunday, 12 p.m. to 5 p.m. Special members-only hours are from Monday through Saturday, 9 a.m. to 9:30 a.m. Admission prices are $13 for children and adults and $12 for senior citizens. Children under 1-year-old and members are free.